Like all people of faith, Latter-day Saints (Mormons) like to gather inspirational quotes. Over time, the words become integrated into our souls, our values, and our culture. When the quotes come from “over the pulpit”, [i.e. spoken by a general authority, apostle or prophet in an official meeting of the church, or published in an official LDS magazine], then it is given much more weight, and considered for all intents and purposes, ‘living scripture’. For over six decades, this memorable sentance has wielded great power to motivate (and sometimes discourage) millions of parents! I recently gathered some interesting back story, along with an intriguing mystery about this quote. While it is important that President McKay DID use these words as part of two separate General Conference talks – April 1935, and April 1964 respectively [unavailable online], he was actually quoting someone else; J. E. McCulloch, to be exact. 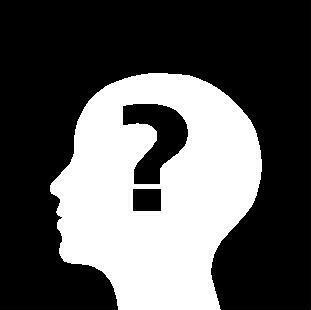 2. Who was J.E. McCulloch? Surprisingly, the oft-quoted James Edward [J.E.] McCulloch remains shrouded in mystery. An online search will give you hundreds of references [mainly by Mormon leaders quoting McKay quoting McCulloch]! However, I have tried and failed to find a bio or a photo of the man. Thanks to a great article published in 2004 by Russell Arden Fox at Times and Seasons, we know that McCulloch “lived in Nashville at the turn of the [20th] century, and served as secretary to the Southern Sociological Congress”. From what I have ascertained, Mr. McCulloch was a prolific author of books, as well as editor for Southern Sociological Congress essays, on topics of conservative values and societal trends. A listing of his literary output – totaling 73 – is found on GoogleBooks, with titles such as: “The Human Way: Addresses on Race Problems“, “Battling for Social Betterment“, and “Democracy In Earnest“. Wow! Just the outline of this book says so much about Mr. McCulloch’s deep commitment to home and family. It states here that the book is a compilation of scriptures, poems and quotes, so we still cannot be 100% sure if McCulloch is the actual author of the famous quote included in the book, or if he was also quoting! This is another ‘mystery’ part of our story, waiting for final confirmation. 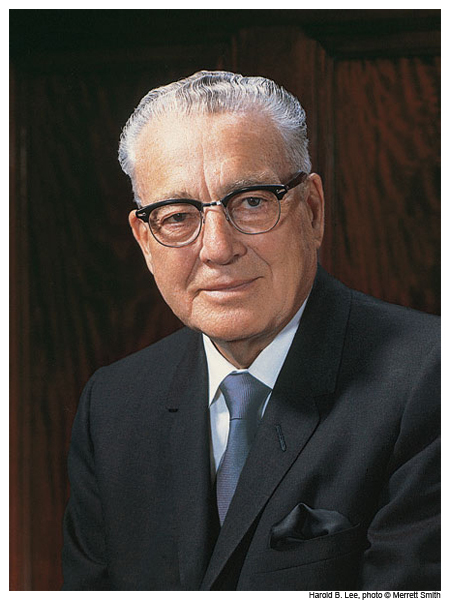 President David O. McKay’s legacy with the church includes fully implementing the Family Home Evening Program, (an idea first introduced in 1915 – given as “advice” to LDS parents – see history). 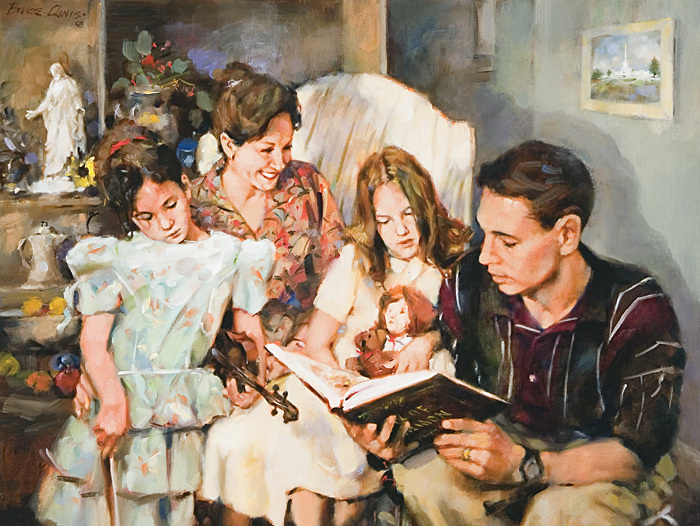 Since 1964, Family Home Evening (affectionately abbreviated to FHE) has been a standard practice in Latter-day Saint homes. Mormon families set aside Monday night as the evening to be spent exclusively with their families – to sing together, study the scriptures, play games (and eat treats). 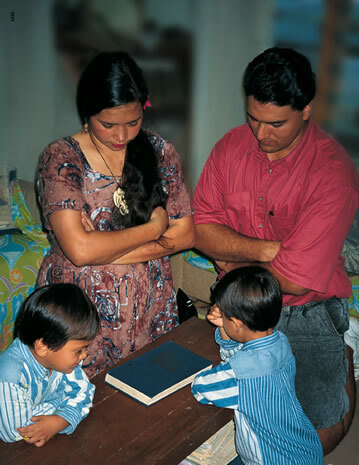 In some ways, Monday night becomes the “most sacred” night of the week for a Mormon – in the sense that as a lay congregation with many service responsibilities, this is the only night the church building is guaranteed to remain locked, and unlike Sunday’s or other days of the week, church responsibilities, service projects, choir rehearsals, meetings, and activities will NEVER be scheduled! It’s also an unspoken rule that Mormons don’t call other Mormons after 6 PM on a Monday night, in respect for Family Home Evening. From the synopsis of his book, Mr. McCulloch had already instituted a very successful family home evening program of his own, which others were using, too! Did McCulloch’s program of holding ‘Home Council’, and his subsequent book encouraging the practice, have an influence on President McKay? Could it have prompted the inspiration to begin the full-fledged Church-wide ‘Family Home Evening Program’? Another mystery, but certainly feasible. Either way, McCulloch would be pleased to know that Mormons are “Keeping the family altar a supreme element in the home“. “The home is the first and most effective place for children to learn the lessons of life: truth, honor, virtue, self-control; the value of education, honest work, and the purpose and privilege of life. 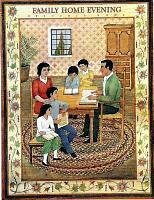 Nothing can take the place of home in rearing and teaching children, and no other success can compensate for failure in the home” ( J. E. McCulloch, Home: The Savior of Civilization , 42; in Conference Report, Apr. 1935, 116). AUTHOR NOTE: To all my fabulous, alert and very-eager-to-be-mystery-solving readers. Yes, I am aware there is a pdf offered by Sage Journals Online. At first glance, it looks like a pdf of Mr. McCullough’s book! Nope. Rather, it is an article published in the same year, 1924, and by the same press company. The article lists the synopsis of McCulloch’s “Home: The Savior of Civilization”, along with several other newly released books that year. It was essentially designed as a promotional ad from the publishing house, but it also provides fascinating insight. I have quoted this article extensively in #3 above. 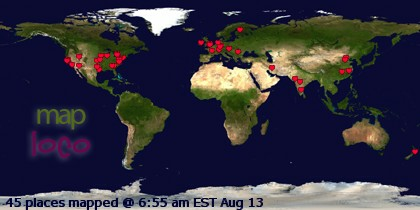 Next postWelcome All Online Angels! and the pdf can be accessed free at many universities. Well done! I found this to be interesting, as well as important, and well worth sharing. Thanks for doing your homework. Worldcat.org notes a copy at BYU Library in Provo. Aussie – thanks for the investigative work. Unfortunately, I’m about 2 hrs. drive away, but perhaps can make a trip down in the near future. If there are any readers out there living on or near BYU campus willing to go to the library, photocopy the page in question and send me a PDF, let me know. Cheers! I happened to be sitting in the library reading this when i stumbled upon your blog. I looked it up and went to where it’s supposed to be, but unfortunately it’s not there right now, so I’m putting it on hold. When I get my hands on it I’ll send you a scan of the page. Brian – awesome! I look forward to hearing back from you. This is just so, so interesting I must say. I posted this morning on my blog about getting feedback on the top 50, 100 best books from an LDS perspective. Though the book be obscure, you have helped to raise it from its obscurity. I will be adding The Savior of Civilization to my list. Enjoyed reading this. I’m wondering if any quotes at all are original, and I’m eagerly awaiting to learn whose idea this was before it was McCollough’s. As a quick example,I’d always heard that William James was the first person to say that man’s chief goal is to acquire, keep, and regain happiness (if it should be lost). I was a little taken aback when I learned that Aristotle said pretty much the same things. He was the Prime Minister of the United kingdom from 1874 to 1880. He died in 1881. IF it is correct, it may make him the rightful owner. Thanks for this info! I used some of it for a lesson I taught last Sunday. Did Brian ever scan the page in question? President David O. McKay did not get the idea of family home evening from J.E. McCulloch. 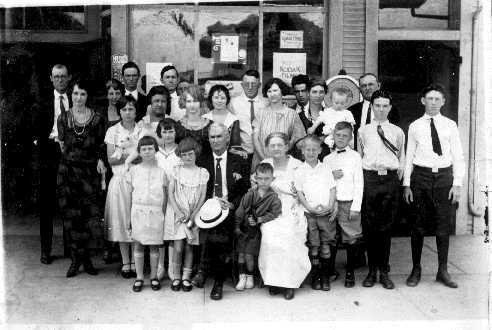 The idea of having family home evening came from the Granite, Utah stake in 1909 from the Church of Jesus Christ of Latter Day Saints. FYI, the 1910 Improvement Era doesn’t have a page 176. The previous volume does, but it says nothing of President Taylor or FHE. I just found this blog- and actually linked to it from mine (something I never do but thought others would like this also) thanks! Excellent blog post. Very informative. Thanks for researching this. Thanks for your time and research. The genesis of this comment has long been a puzzle to me. Very interesting, Scott! Thanks for sharing. Thanks for all the research. It is enlightening. This past weekend in Stake Conference, Elder Rasband told a story about David O. Mackay. Weeks after the first time President Mackay quoted McCollugh he spoke at the University of Utah institute. One of the students mentioned the quote and asked him what “failure” meant. President Mackay, according to Elder Rasband, said, that a family is not a failure so long as it keeps trying. I suspect that President Lee was repeating what President Mackay had taught. Nice! Glad to hear Pres. McKay’s words, and interpretations thereof, continue to live on! Did you ever get a copy of the book…or a copy of the page in question? Just wanted to say thanks for this! I was trying to find the original talk but you confirmed to me that it is unavailable. I am giving a talk on this quote and find the “back story” invaluable! I will try to give the due credit to you as well as J. E. McCulloch! Thanks again. I have a copy of the book. It is old but still in reasonably good shape. It is a treasure. Is there anything else you wish to know about it that I could help with? Hi Patti, I just came across this article and your post and saw that no one responded. Do you know if there’s a way that your copy of this book can be reproduced without you personally going through the laborious process of copying it page by page? I would love to read it! Thanks! Conversely, no failure can overshadow success in the home. For those many parents who feel like failures in some ways, but have succeeded in what matters most. Thanks for the information on the quotation. President Lee was first counselor to President Joseph Fielding Smith not President McKay.